Surprise! Harmony Is Not The Absence Of Negativity! In order to create harmonious energy around us, we need both the negative and the positive, like batteries, life requires balance for energy to move and flow. We can’t be all positive and we can’t be all negative. 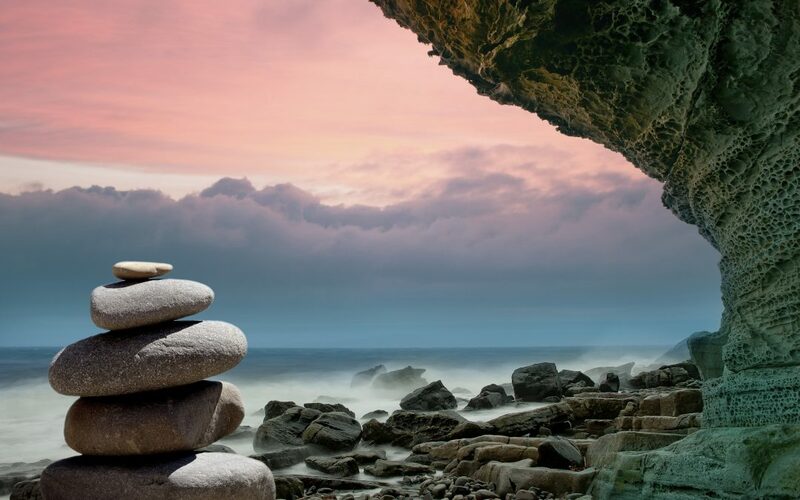 We need to find a healthy balance, and be aware of both, to be able to evolve into our authentic self and be able to support others in their time of negativity. 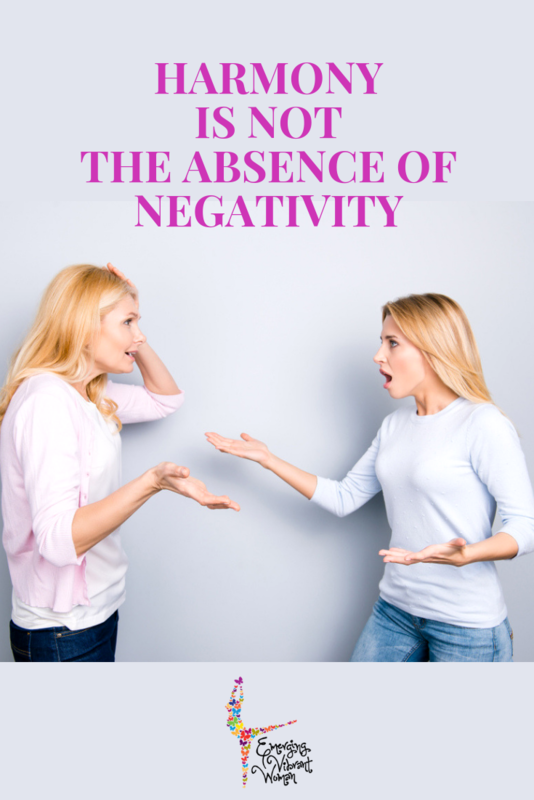 When negativity arises, we should embrace it, feel it, even taste it, and look deeper to understand where it’s coming from; how it’s a reflection of self, without blame or shame. Then we can gracefully let it go and grow from it. Feel free to process these feelings with a woman friend that knows how to lift the spirit and see it ~ not as a weakness, but as a stepping stone of growth. When we are too positive, we are avoiding and dismissing our feelings, emotions, and the feelings of others that need recognition. We need to process feelings without being judgmental or avoiding them and pretending all is great. We are missing the need to process our feelings ~ the need to process our own feelings as well as the needs of friends and family to process their feelings. Yes, I know. There are some individuals who are stuck in the victim space and can’t see beyond it. I’m not suggesting you become a place where these kinds of people go to dump their emotional baggage. Just like you, these individuals are on a journey and they are not at a place where they can have a reciprocal relationship. And that’s OK. In those instances, you have a CHOICE, and it’s OK for you to choose NOT to share that space with them. Instead, we need reciprocal relationships — ones where we can give AND receive support and safely process our feelings. Vulnerability is the birthplace of love, belonging, joy, courage, empathy, accountability, and authenticity. How we practice vulnerability is the path to greater clarity about our purpose and deeper, more meaningful spiritual lives. Take this moment and write out a negative thought that reoccurs as a reflection on someone else with no judgment. Practice being empathetic toward this person. This is a great post especially about vunerability and how important it is to show you real self. The more vunerable we are the better it feels. It does take time and trust , but well worth the process.